Most people don’t think about plumbing leaks until they realize they have one at home. While a plumbing system is designed to last a long time, various parts can be damaged or deteriorate over time. It is not possible to completely avoid all plumbing issues, but you can take steps to prevent household plumbing leaks and reduce the amount of damage they cause. Plumbing leaks can cause significant water damage, expensive plumbing bills, general home repair bills, wasted water, and unnecessary stress. Minor leaks can be difficult to identify and locate, so they have the potential to cause as much damage as a major rupture if left undiscovered. When you take active steps to prevent plumbing leaks, you’ll not have to deal with the costly consequences. These are some of the more effective ways to prevent household plumbing leaks and to take better care of your home. The easiest way to prevent household plumbing leaks is to wrap exposed pipes so they are better protected against freezing in the winter. Foam pipe insulation can be purchased at a home improvement store and it is easy to install on exterior pipes. If your home has a crawlspace, check this area to see if pipes run through it. While a crawlspace is enclosed, it is not typically weatherized. During extreme conditions, these pipes may freeze and rupture just like exposed exterior pipes. The entire length of pipes in your crawlspace should be insulated. Because pests and rodents may find their way into your crawlspace from time to time, remember to inspect the quality of this insulation annually and to make repairs as needed before freezing temperatures arrive. One of the more common areas for small leaks to develop is around connections. These are areas where two or more pipes meet. By reinforcing the connections, you give them extra support and may prevent leaks in those areas. 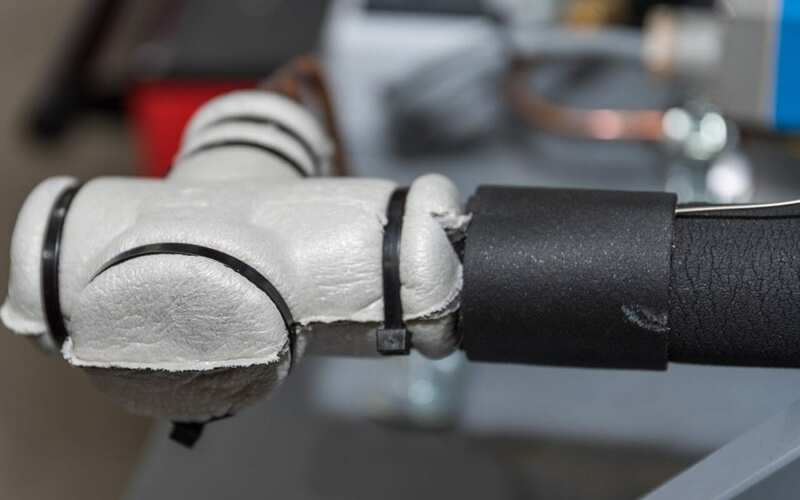 One way to do this is by wrapping the connections with special waterproofing repair tape that seals around leaks and cracks. Compression joints and other types of pipe joints are also prone to leaking. Taping these joints is not feasible because of their unique shape, but you can lubricate them to prevent minor leaks. The oil in the lubrication adds an additional waterproof layer that seals even the smallest gaps. Plumbing leaks are a serious problem that you’ll probably have to deal with at some point, but following these tips can help you to avoid issues. There is no better time than today to apply these tips to your home maintenance efforts. Remember to call a plumber if you have trouble completing these tasks yourself or if you notice signs of a current plumbing leak that requires professional repair service. R. Sorensen Construction & Inspections offers home inspection services to Eastern Oregon. Contact us to book an appointment.